Yes! I’m really going to start this back up. A post here, A post there. Maybe one in between. Either way, I’ll be trudging through this series as well as posting the occasional impromptu tutorial post. In the meantime, I’m going to just leave the text that I wrote over 9 months ago and just let it go from there. It’s actually quite short and is just another large step on the way to understanding families. Enjoy, comment and see you for the next one. Well, I thought all this preliminary explanation that is leading up to family creation would bore everyone, but I’ve never had so many hits on my site! This is awesome! I thought I was going to make the next one a preemptive strike on modeling and get down and dirty with some geometry creation but seeing these stats kinda makes me think I should just chug along; those who are looking for geometry creation will be back in good time. Wasn’t that a nice break?! Now back to what we were talking about… what were we talking about? Oh yea, CDE! So we’ve had a quick run down of creating masses in CDE and also of cutting holes in them. 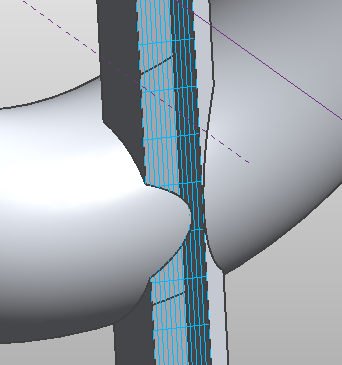 You know how to adjust the forms using reference lines and points. You can join, cut, add and subtract… been practicing? Good. So now that we have some point, edges and surfaces, let’s focus on the surfaces. 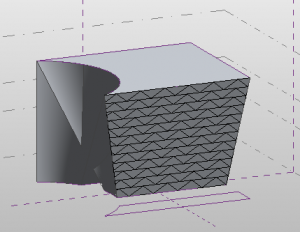 So today i’m just going to go through some things you can do with surfaces, namely dividing a surface. 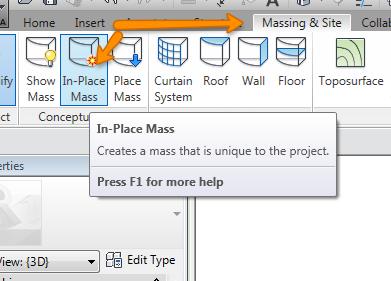 Select a mass or a surface (tab through to select just a surface). 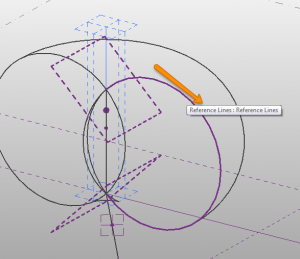 Use the Divide Surface tool. You should really not think of this as a curtain wall system, but more as converting this to a useful surface. 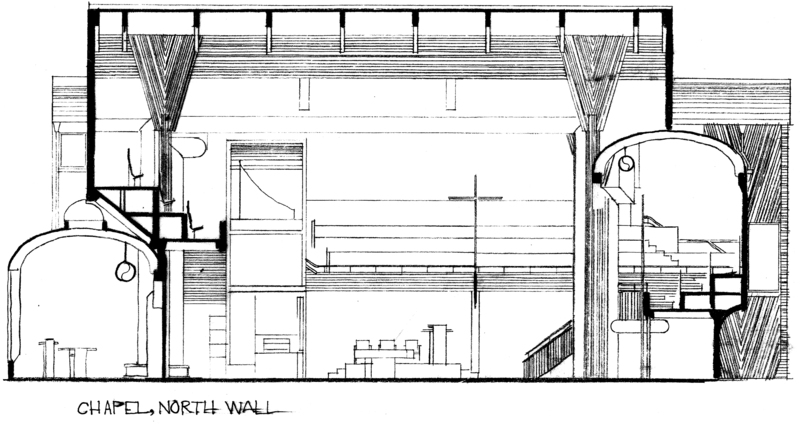 As we explore later in the series, there are a lot of things you can do with this surface, much more than just make it a curtain wall (besides you can do that in the project, why would you do that here?). Now that we have a divided surface, let’s take a closer look. If you select the divided surface, you’ll see we have a grid. … and turn those on and off! The last neat trick you will learn today is the ability to fill these grids with components. There you go…. 🙂 Just enough to make you come back next time, right?! Well, we’ll spend the next few posts going over each of these options and then launch into what we can do with these components! 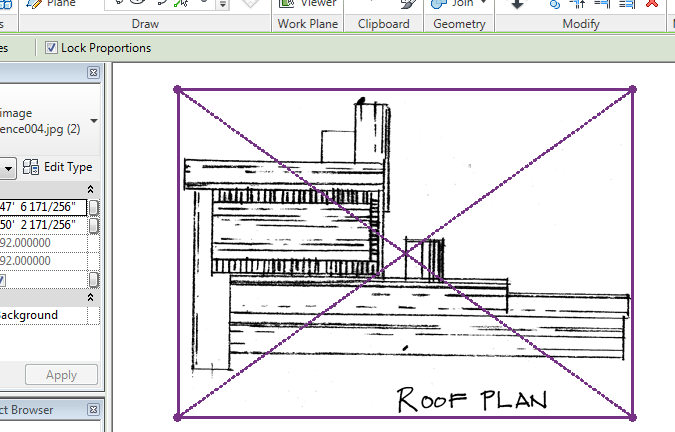 Thanks again for stopping by and I hope to see you for the next Revit TotD! Today’s tip is going to borderline a Revit tip and a general modeling tip. I wanted to round off the form and void massing portion of this series by making sure we know how to actually use these tools! 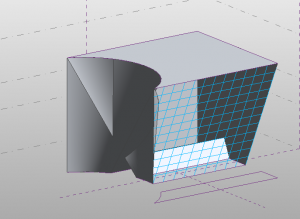 So today I’m going to go over a process that is used by… well probably every 3d modeler at some point in their career, as well as how to adapt that process to the CDE in Revit. Most 3D artists are taught a process to create their forms through use of the Elevation and Plan concepts that they have to work from. 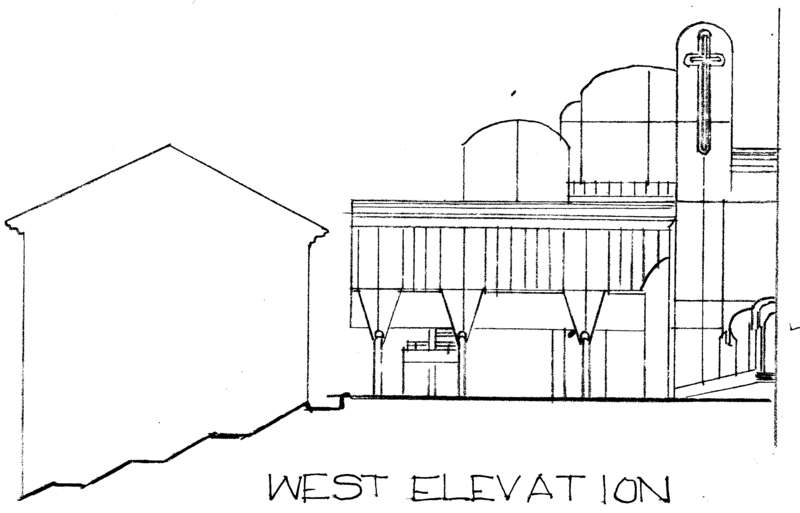 Seeing as how this is a series for Architecture Students, I’m going to assume that you actually do have Elevations and Plans to work from. What you’ll really need to get a good start on a 3D form are at least 3 images: Plan, Front/Rear Elevation and a Side Elevation. 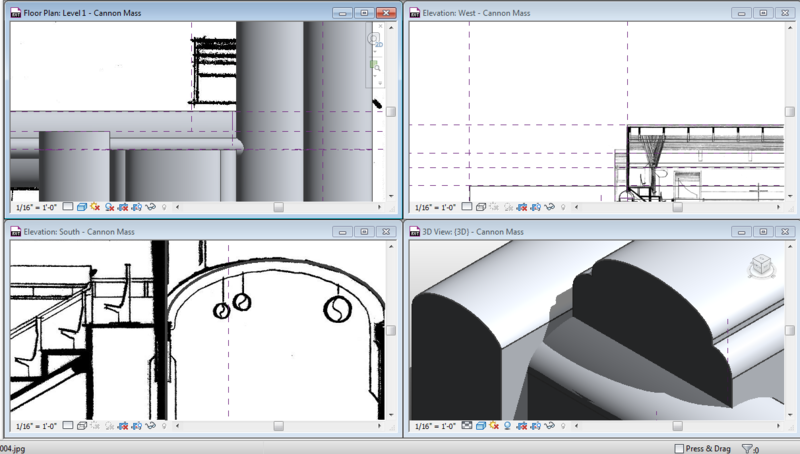 I find it easiest to label the views in Revit according to the images so that I know which image belongs in which view. Activate the view you want to insert the image into. 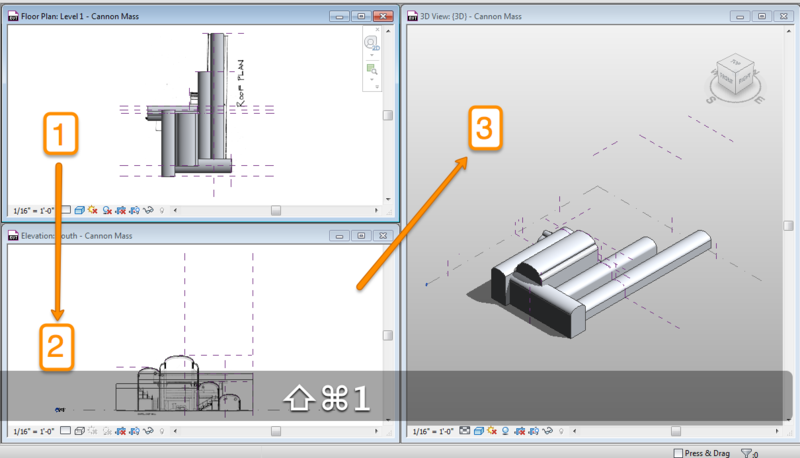 Note that images can not be placed in 3D views in the CDE. Use the Image tool under the Insert Tab. Browse to the image you want to insert into the view. Now that we have the images placed let’s look at our workspace set up. 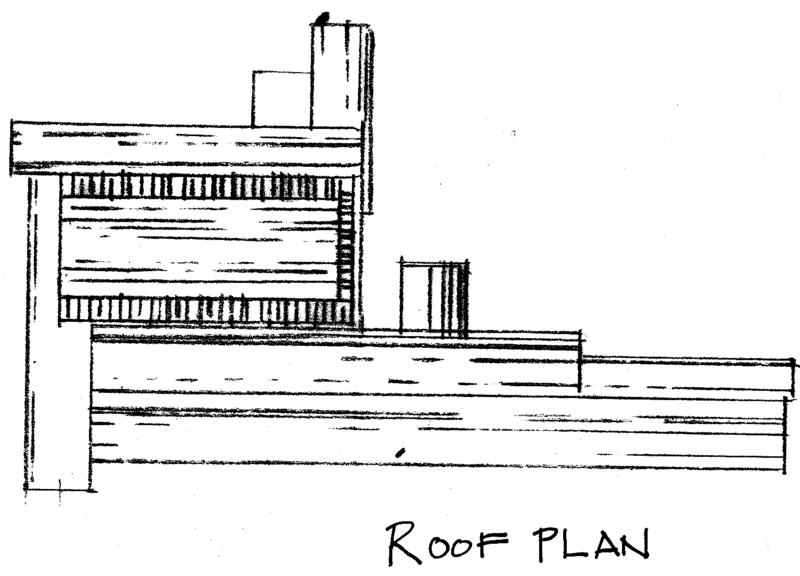 Typically in a modeling environment, an artist would have 4 views up: Plan, Front, Side and 3D. 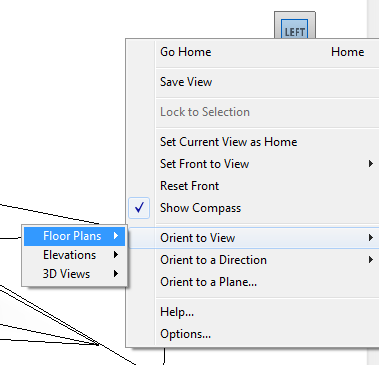 Leaving all of these up in Revit would really kind of clutter the workspace, so here are a few ways to navigate quickly back and forth between views while you mass up your forms. You will really want to become familiar with the keyboard shortcuts “WT” and “ZA”. “WT” Tiles all windows. So you can quickly go from a maximized single view, to seeing all windows that are open. This means it is important to manage the windows you have open. There is an order to the tiling sequence: the window most currently active will be int he upper left corner, second will be below that, third below that, etc. and it read like a book; so if window “2” is at the bottom left with no more room for window “3” then the next window will wrap to the next column. So just like an english newspaper; Top to bottom, left to right. 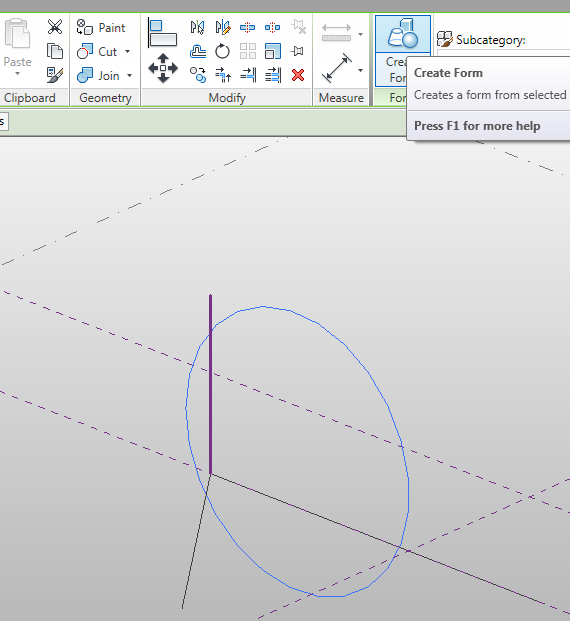 “ZA” tells revit to zoom all of the visible windows to the extents of each view. 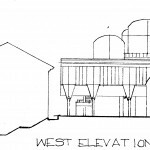 So if you have all 4 of the previously mentioned windows open, you will see 2 elevation, a plan and a 3d view of your mass. Finally there’s the double clicking the Title bar of the view. This will quickly maximize the view you want to work in. Coupled with the shortcuts I just gave you, this is a very efficient way to model up your conceptual masses! Well there you have it, another [hopefully] great tip for you reviteers out there! 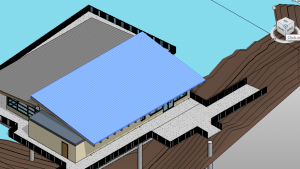 Thanks again for stopping by and I’ll see you nex ttime for another Revit TotD! Revit TotD – 11.5.2010 | MOAR VOIDS!!! I can’t believe that last video took the entire 5 minutes to show you how to cut a solid! It’s so much easier with a gas powered chainsaw… >_> Anyhow, let’s continue our study of voids. This is a new little tool available in 2011 that allows you to cut holes in solids using *gasp* other solids! 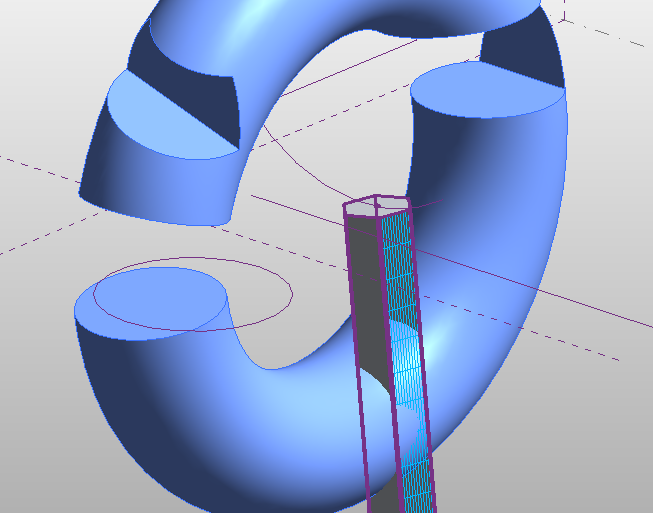 So now that we’ve seen method one of subtractive addition, we’ll take a look at the new solid-solid cutting method. This is a fairly straight forward tool. 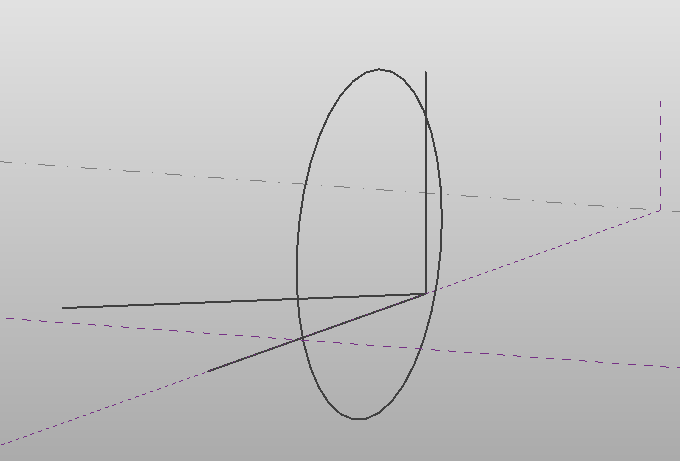 The intersection of the solids results in a “void” created int he solid that is being cut in the shade of the solid that is doing the cutting. The biggest difference is that you keep both of the forms. Nothing disappears or is eaten! Yay! So now you know masses and voids. Time to play around with them. You have all weekend to think about it before the next TotD! 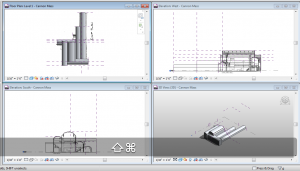 Thanks for stopping by and hope to see you again for the next Revit TotD! So now that you have a little taste of how to create those basic modeling forms let’s look a little bit deeper into how those forms are made and can be manipulated. 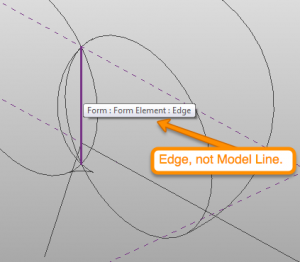 Here we’ll look at the difference between model lines and reference lines in CDE and why you want to use one over the other. There are 2 important difference between model lines and reference lines in CDE. A model line behaves much like a model line in a Revit project: you can use it to draw lines on a surface that will continue to project in 3d spaces. 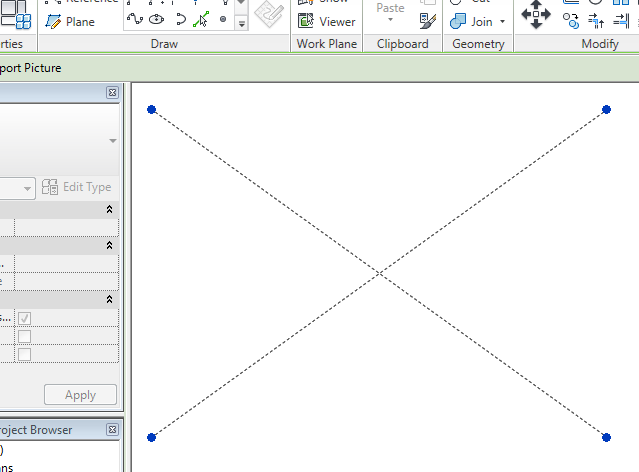 However, in CDE you can also use model lines to create your profiles for your forms. 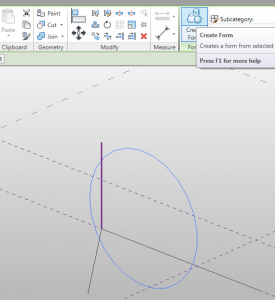 Note that when you create a form using model lines you no longer have your original lines. Yes, you may have edges on the form that you’ve created, but nothing that really represents the original profiles used. In order to modify forms made from you are using edges that are a result of the created form. 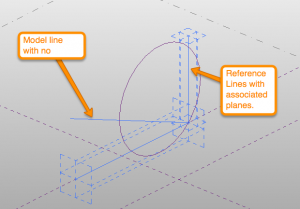 A reference line, like a model line can also be used to create profiles for your model forms in CDE. 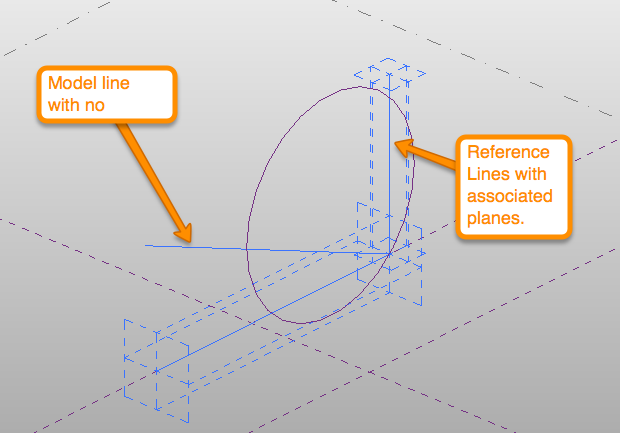 Reference lines, just like in a project, generate their own reference planes. 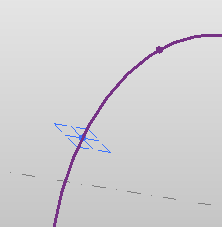 We’ll look at how these planes are useful in another session, but for now it’s important just to know that reference lines generate their own planes at end points and along the lines themselves. Experiment with different lines types to see how each generates its own planes. 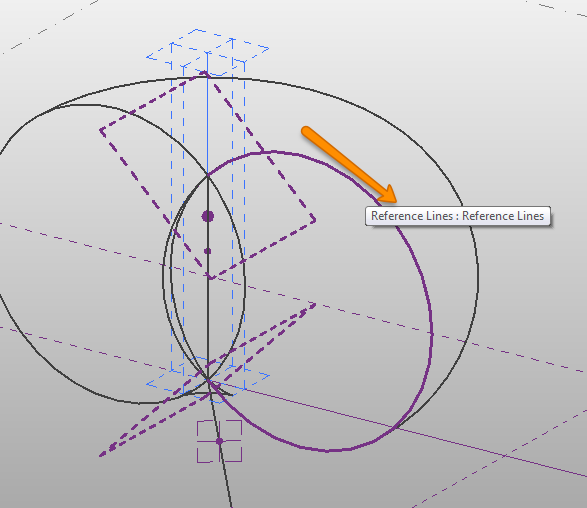 Most importantly, when you use reference lines to create planes allows you to keep the lines when you create the form. 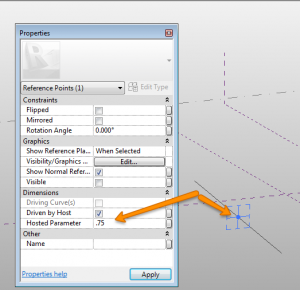 The forms do not eat reference lines like they do model lines allowing you to modify your forms from the original source of the forms without dissolving them. …and to make things even more convenient they can specifically be placed along a path at a parametric value. So there we are, delving a little deeper into the forms of the CDE and how we can maintain the manipulation references of the forms we create. 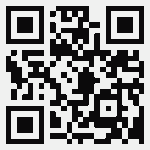 Next time we’ll get in to a few more of the tools we can use and how to create some masses. 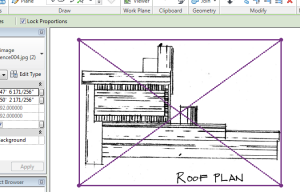 Thanks for stopping by and I look forward to seeing you again for another Revit TotD! For quite some time I’ve been discussing with a friend and fellow designer (Gerry Hogsed) the possibility of starting a series specifically for College students (maybe even some High School students that want to do more than troll the RevitCity chat room). With the number of questions being asked on the forum and in the chat room from students wanting to learn the technology, I feel that it’s a good time to start… so where do you start? Here’s what we’ve come up with so far, and will continue to be developed. 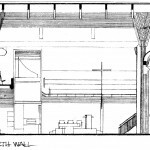 The scope of a studio project extends well beyond what the tools of Revit allow us to cover, but I think it’ll be safe to say that most of you want to know about modeling the mass, the form of your building, into Revit. 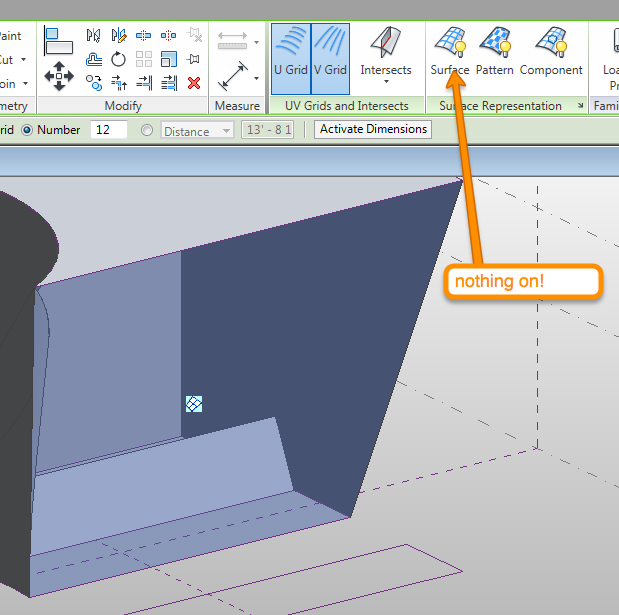 So that is where I will begin: how do you create forms in Revit? Let’s begin with a term that will make you look cool in the Revit scene. 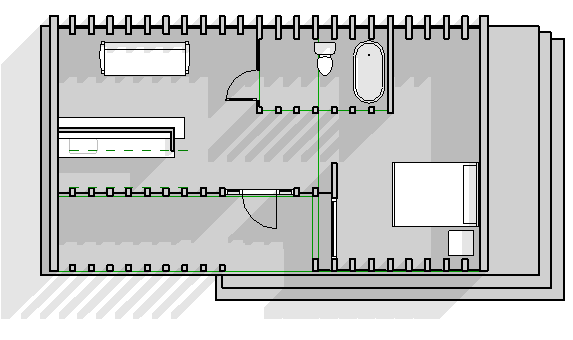 Conceptual Design Environment, aka: CDE The CDE, despite being displayed in a similar canvas to a project, is actually significantly different from a typical project in revit. It allows us to model outside of the constraints of the wall, floor and roof assemblies that you find in the Revit templates. 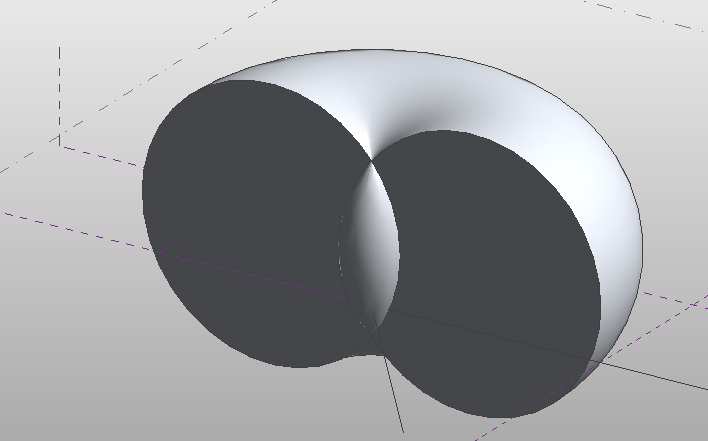 The forms you make in CDE are really only limited to your ability to figure out a way to create the shape. Before we get to that point though, we have to learn how to walk. 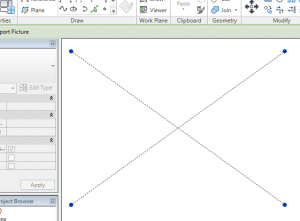 So let’s go over some basic forms and how to make them in CDE. 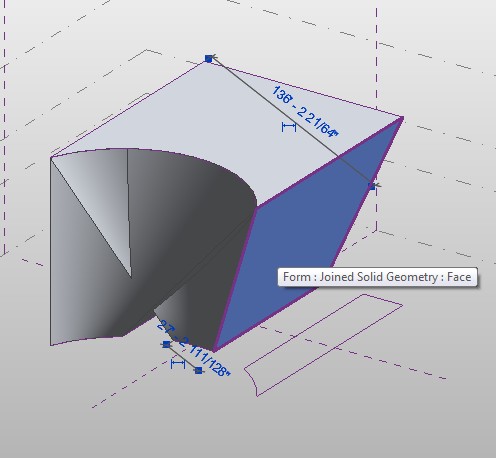 In the project templates, you have 5 basic forms: Extrusion, Sweep, Revolve, Blend and Swept Blend in both solid and void forms. They also give you nice neat buttons to easily start those forms. This is not the case in CDE. 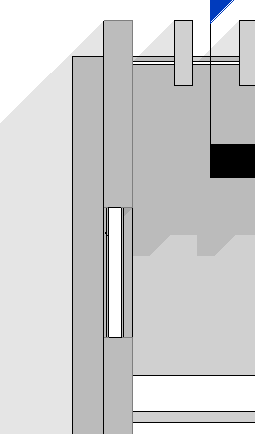 Despite having these buttons removed, massing in the CDE is much more intuitive to a modeling program, closer to something like Sketchup. We use profiles and paths to define the shapes and the allow the program to interpret what we are trying to do. So an extrusion is simply made up of a closed loop. Select the loop, click Create Form, and there’s your extrusion. Here is a rundown of the various forms in CDE and how we go about creating them. 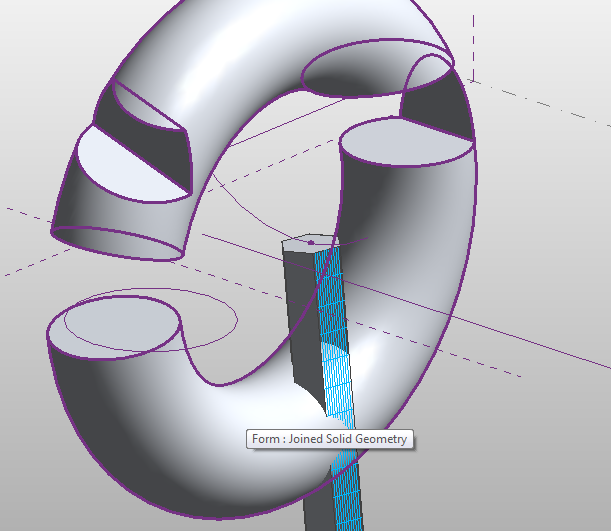 Create closed loop or open edges. 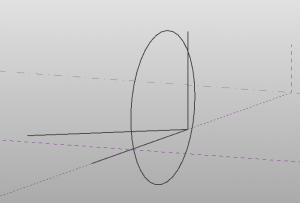 Place reference point on path for profile plane. Create profile (open or closed). 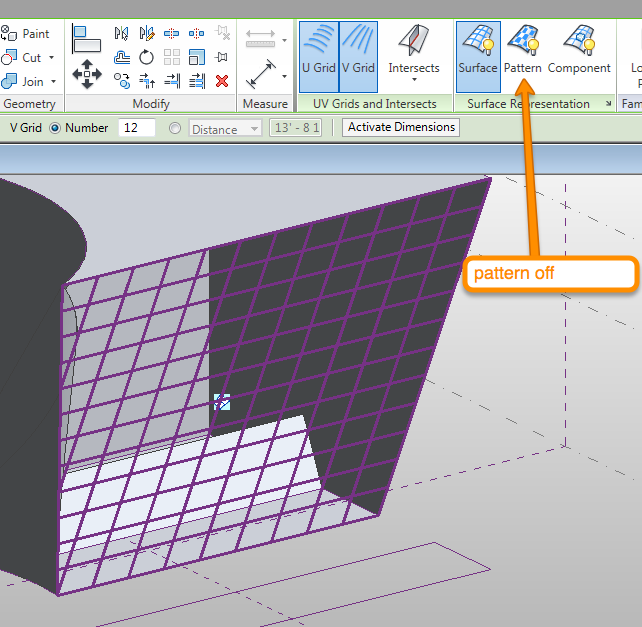 Create 2 closed profiles on 2 different planes. Place points on path for each profile for work planes. 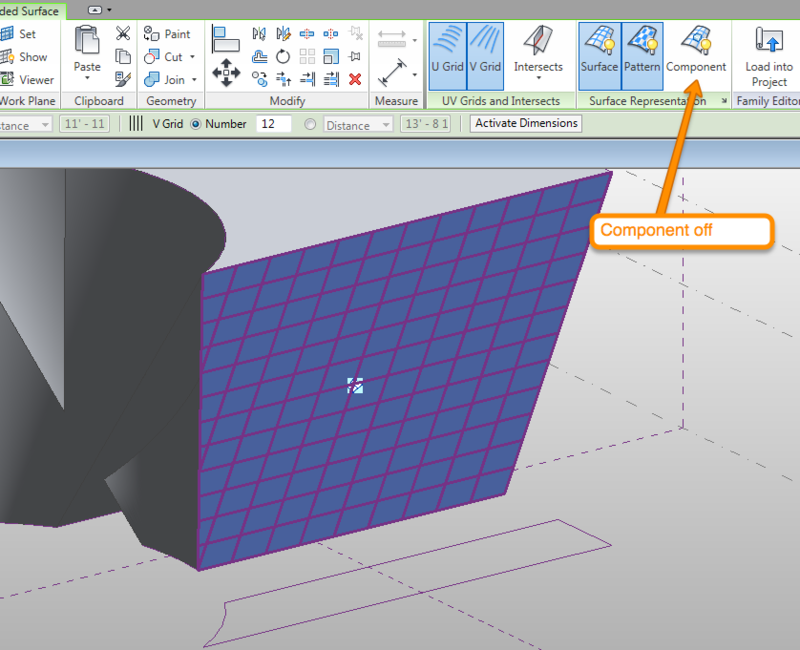 Create closed profiles on the work plane provided by each point. Create multiple profiles (open or closed) on multiple workplanes. So there you have the basic forms of CDE design. Practice practice. Take some objects from the Architectural Products catalogue and model them in CDE or some objects around your studio. 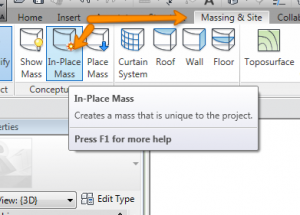 The real advantage of modeling in the massing mode of CDE as opposed to modeling modes of projects or Family Editor in Revit is the freedom to manipulate your mass. We’ll get into that in future parts of this series. Until then, thanks for stopping by and I’ll see you again later for another Revit TotD! Here’s a quick one to throw up at the end of the day. A quick way to navigate around 3d views if you like using the View Cube. By clicking on the View Cube, we get a nice little animation with a built in zoom extents that orients the view to the corresponding side of the model that was clicked ont he View Cube (ie: click Front, zoom extents to the front, Left, zoom extents left, etc, etc). However, the real tip here is that the View Cube click, by default… we’ll get to this later, also acts like the selection group orbit anchor that happens when you have objects selected in other views. 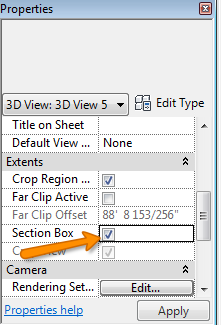 So if you select an object or group of objects before clicking on the View Cube then the view will snap to the extents of the selection group. Pretty neat huh? What’s that? You don’t like this feature? Well, the factory knew there would be a few of you. 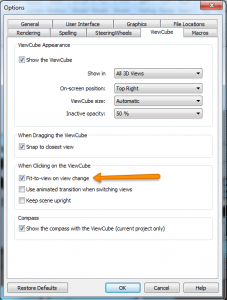 You can easily turn this zoom extents off along with a few other View Cube features by right clicking the View Cube and going into the Options dialog. Well, that was a nice easy way to finish the day off. 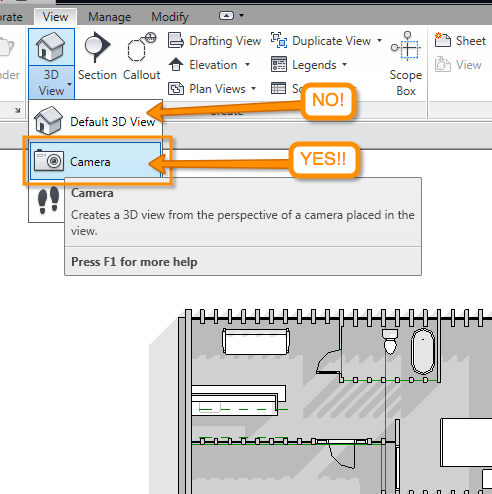 Hope you found it useful and I look forward to seeing you next time for another Revit TotD! Revit TotD – 10.15.2010 | How you make them funny leaning walls? Keeping in the spirit of answering frequently asked questions in the RevitCity.com chat, I figured I’d field this one since it has only been asked… about a dozen times this week! It’s apparent that the direction of design is just begging people to know how to make those funny leaning walls! So here we are, learnin’ sumtin new! Begin an In-Place Mass. 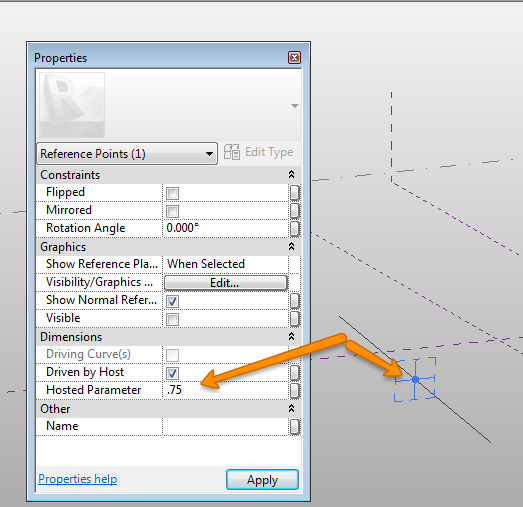 If you are using the standard Revit template, you will be asked to enable masses in the project. Name it whatever you want that is descriptive of its purpose: “OutofPlumbWall1” works fine. 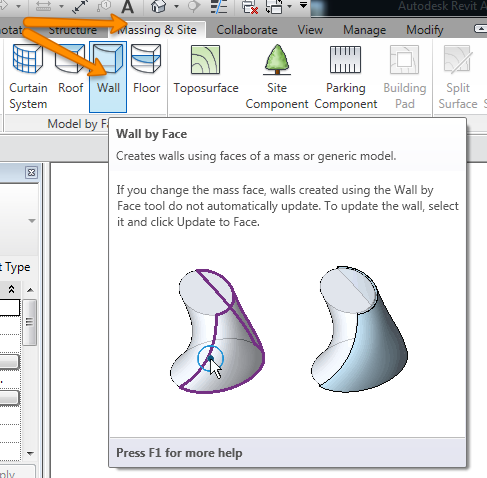 Create a mass with one face that is at the angle of the wall you want to create. You are not massing the actual wall (while that is possible, it’s not ideal, you’ll see why later), just a mass with a face that is at that angle. 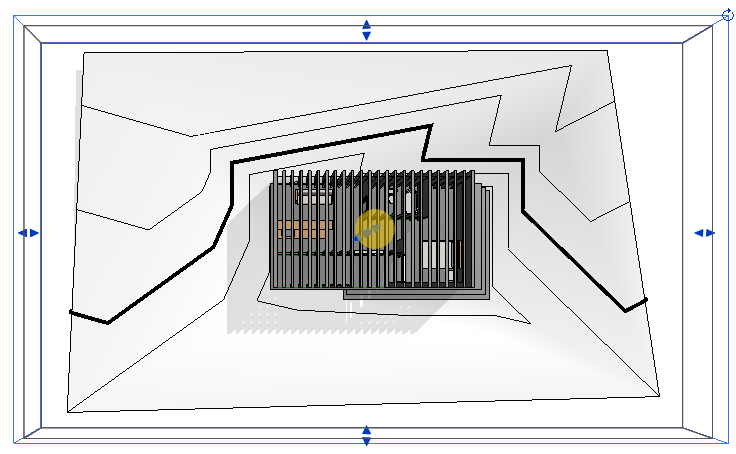 I usually make my mass in a 3D view and choose a wall face to use as my workplane. 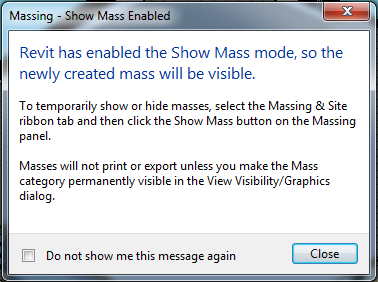 Adjust and Finish the mass. With Part one complete, you should have a nice ugly out of plumb looking mass in your project. If it’s ugly at this point, congrats, you’re on track! on to part two! 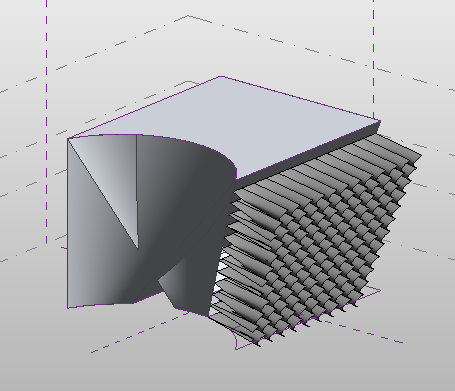 Select the Wall tool in the Model from Face panel of the massing & site ribbon. Pick the angled face of the mass. Tada! Insta out of plumb wall! Thanks again for stopping by for a Revit TotD! 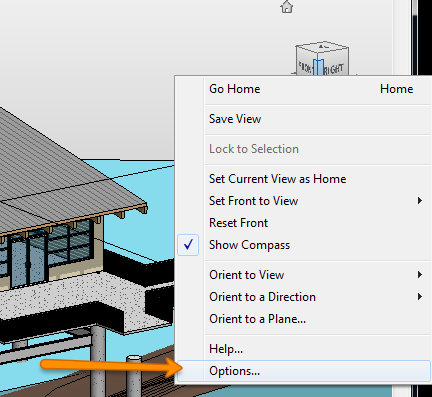 I hope you learned something new and look forward to having you again for the next Revit TotD! An easy quick tip to start off the day. 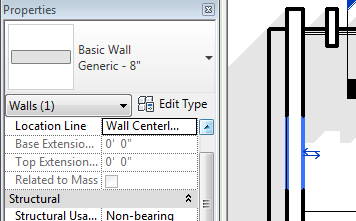 Phasing can be a pain to even the most seasoned Revit veterans, and hopefully I can help you out with a little in-fill issue you may have in the future. When you demolish a door, window or any wall cutting object out of a wall, it replaces that former opening with an in-fill wall. This wall has no phase information but can be replaced with ANY wall type you have already defined. 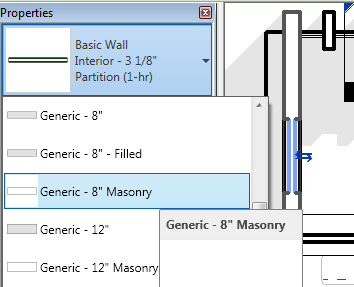 If you have a scenario where you want to replace the in-fill area with a different wall type (say you have a CMU/Concrete building and just want to in-fill with stud walls), this tip is going to be right up your alley! 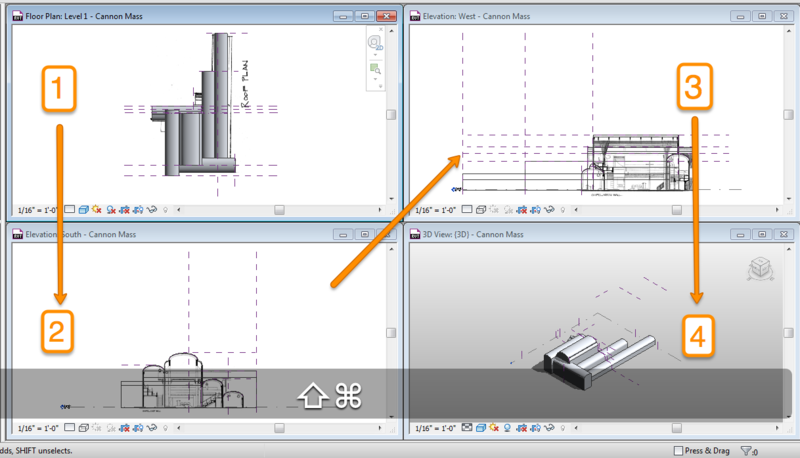 In your next phase view, select the in-fill create by the previous demolition. Choose the wall type you wish to use. Choose the location line alignment. Voila! Quick, easy and painless! Nice simple one to start off the week. 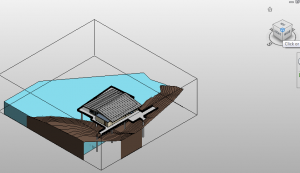 I’ll see you all next time for another, Revit TotD! Revit TotD – 8.26.2010 | Plans like the REALLY Kewl kids Make! Alright! Another 2 post week! “Psha, whatever Carl, people out there make posts every day. What’s the big deal?” Hush, I’m proud of myself 😛 Today is really going to be a follow-up of the last post on Section Perspectives. 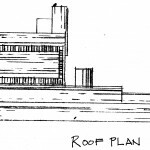 This is a quick little technique to create Plan perspectives, which really can be used to create Section perspectives as well. So the steps here are pretty similar to last weeks, except there is one really nice shortcut we’re going to use to Orient the Perspective View to the correct plan. If you don’t already have a plan view, kick yourself in the pants for not having one. Then create a plan view. 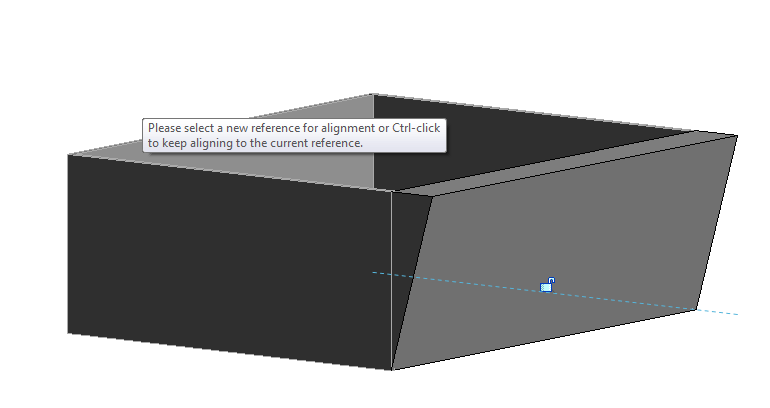 Select Section Box and adjust the Cut Plane to cut at the proper level. Congrats! You’re making presentation plans like a pro! You can use the same Focal Length and Zoom tips mentioned in the previous post to create rather stunning views. Not to mention if you go back to step 5 you’ll see you can also orient to other views, like a section that already exists in your model. 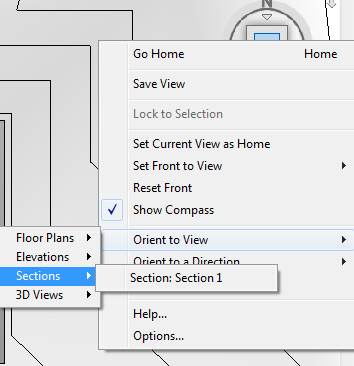 Orient to a section to get the camera oriented for the most part before tweaking the view. Thanks for stopping by again! I really enjoy your feedback so please let me know what you think. 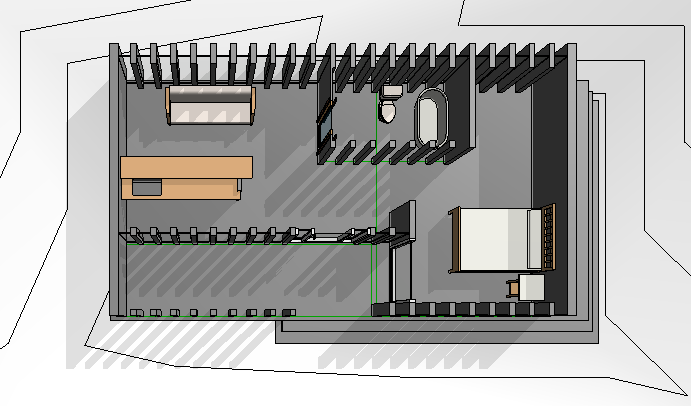 Also, if you have any Revit questions, feel free to send me an email and I’ll answer in a post! Till next time, happy Reviteering!